During our most recent residency, one of the dominant tips shared by authors, producers, and editors was that physical activity is not only great for the body but also for the mind of writers. Whether it’s to clear our minds and set the tone for the day by taking a creative walk or unwinding with yoga after a long day of editing and revising, physical activity can not only keep our blood but also our creative juices flowing. One writer who takes the body and mind challenge to heart is John Donohue, author of the award-winning Connor Burke martial art thrillers Sensei, Deshi, and Tengu. An anthropologist who researches and trains in the martial arts, Donohue is associate editor for the Journal of Asian Martial Arts and member of the advisory board for the National Association of Professional Martial Artists. A black belt in karate and kendo, and a faculty member of the Albertus Magnus MFA program, Donohue resides near New Haven, Connecticut. In the withered and unforgiving landscape of the American southwest, Connor Burke must pierce the cloud of mystery surrounding the death of notorious ‘mystic’ and best-selling author Elliot Westmann. Hired by the deceased’s estranged daughter, Burke discovers that Westmann’s unfinished manuscripts may contain cryptic details that local border smugglers might kill to keep secret. As Burke digs deeper, facts get convoluted and events get downright dangerous. He soon realizes that he is in way over his head. His only hope is to take matters into his own hands, using his fighting skills and the aid and guidance of his warrior teacher Yamashita. John, your involvement in martial arts has fed your creative life in many ways. Not only is your Connor Burke series centered on martial arts, but you’ve also credited the sport for developing discipline and persistence. How else has martial arts contributed to your writing life? Much of the training in the martial arts stresses practice, repetition and the virtues of deferred gratification. The techniques involved are built on the rudiments of human movement, but refined and combined in a way that ultimately (hopefully) leads to a type of elegance. It strikes me that writing is very much the same type of endeavor—one built on the mastery of rudimentary skills that are then combined to create (once again, hopefully) something of beauty. Another important lesson learned from the martial arts is that you’re not always going to get it right. You’re going to make mistakes or fail. In sparring, you’re going to get beaten. But that doesn’t mean that you don’t keep at it. I often come across writers I teach who are almost paralyzed with fear—fear that they won’t get it right, fear of criticism. It’s good that they care so much about writing, but if that care keeps you from writing, you need to let that fear go. It’s like crossing swords with an opponent in kendo—if you worry about getting hit (because you will get hit, it’s the way it works) it just makes things worse. So when talking with students about writing, I laughingly use myself as an example and say that while I take my craft seriously I also abide by the motto that “hey, it ain’t Shakespeare.” It’s very liberating. Do you have a set regime or daily routine? Do you work out and then write or vice versa? What do you find most helpful to motivate you through the day? Like most writers, I have a day job. Which means I write when I can. Quite often, I spend the middle part of the weekend writing. When I’m on a real roll, I’ll steal away in the evening to do a bit as well. I do try to get a daily workout in—even if it’s just a long walk in the woods. I find that I can focus a bit on my writing when I’m walking or running or on the elliptical machine. While the body is chugging along, my mind is free to focus on the latest knotty problem or great idea in the writing project I’m working on. As for motivation, I’m a big believer in “chunking it”: I break things down into manageable chunks—goals to achieve–and try to do that. Otherwise the prospect of writing a book seems daunting. I also keep an Excel spreadsheet tally of chapters, words, and pages completed. Every time I finish a chapter I enter it in and the spreadsheet shows me my progress. Silly, but I like it. Some writers find it hard to break away from the computer. What advice might you offer for those of us who are a little more, um, ‘sedentary’ in our writing lives? It’s easy to get lost in the writing process—after all we create little worlds with our words and enjoy exploring these worlds. But we still have to live in the real world. And being more active means that you can enjoy this world a little bit more (and perhaps a little bit longer). Plus, I find that I’m more focused when I’m fit. The time I take away from the keyboard doesn’t detract from my writing. It actually helps me work through things. Then I can come back to the desk and get going again. And you don’t need to sign up for the Ironman contest. A nice walk is a good way to start. How hard is that? If you’re really obsessive about writing, bring a friend or significant other along—you can bore them to tears as you talk about your project. Does nutrition also play a role in your writing life? Or, when no one is looking, do you snack on fast food? Come on. You must have some ‘bad’ habits, right? I am abundantly supplied with bad habits, nutritional and otherwise. But interestingly enough, I don’t usually eat or drink much of anything when writing. I occasionally brew up some coffee, but it almost always sits there and gets cold. Because when I’m writing, I’m writing. Speaking of discipline, how do you balance your writing and teaching? You’re very prolific, yet you devote much of your time to student writers. Does the one activity feed the other? How so? For me, teaching is a real treat. I spend much of my time at administrative duties at my college, so being able to walk into the classroom in the MFA program is like a holiday. I enjoy talking with student writers, of exploring issues and problems with them. I find that, as often as not, they’re teaching me things. In addition, when I have to prepare for a class, I need to think through my ideas about writing and set them down. It often helps me to formalize ideas that have been swirling around in my head but I haven’t had time to formally express them. 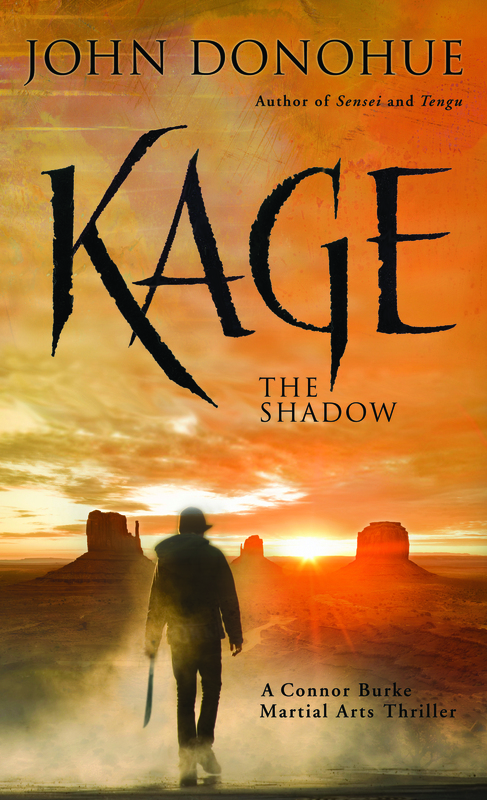 Your latest book in the Connor Burke series, Kage: The Shadow, follows Burke as he discovers mysteries buried in the unfinished manuscripts of best-selling author Elliot Westmann. Do you yourself have many unfinished projects? Were they deliberately abandoned or are any of these projects ones you may return to at some point? Like every writer, I have “the bottom drawer.” It’s the place where finished (yet unwanted) manuscripts go to die. Or to age. I have had the experience of tossing something into a drawer only to pull it out a few years later and find that a publisher is interested. Currently I have two novels in the drawer—Wave Man, about a mob leg-breaker who develops a conscience and is trying to get out of his life, and The Qi Eaters, which is a paranormal thriller with Asian mystic overtones. I’m working now on the next book in the Burke series, but also have at least three other novel ideas in various stages of development. Finally, you’ve found a nice balance between teaching, writing, and staying physically active. Do you have any tips to offer emerging writers? You’ve got to keep at it. Think less. Do more. Stop worrying—most of us aren’t going to get rich and it probably isn’t going to be Shakespeare—but it’s important. And hard. So it’s worth doing. The Japanese martial artists have a saying: “hakka yoi”—keep at it. So that’s my advice—hakka yoi. 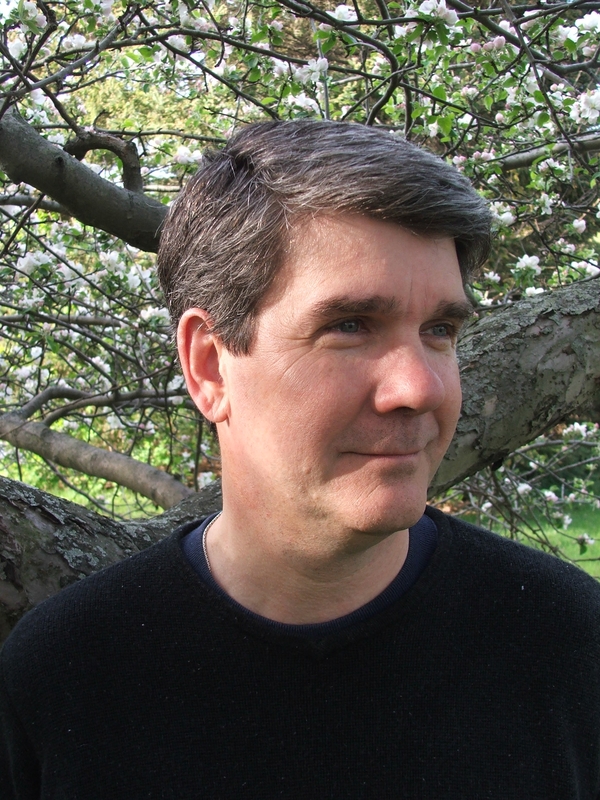 Visit author John Donohue’s website here. Read a preview and purchase Kage on amazon here.